What Higher Ed Can Learn from Louis C.K. Comedian Louis C.K. has a TV show, performs at sold out theaters around the country and has made several memorable YouTube clips. Now, he’s trying an experiment on his website. Since the launch over this past weekend, he’s sold over 110,000 copies of the concert worldwide, more than making back his production expenses. 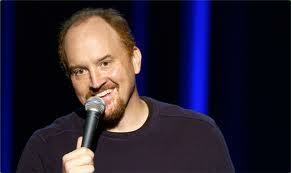 What can we in higher ed marketing learn from Louis C.K.? Louis has been more than transparent during this process, disclosing his costs to produce this special, how many he’s sold and what he’s made in terms of money. In higher ed, and not just the marketing/communications side, we are bad at transparency. Other than annual reports, we aren’t very transparent about our financials and other data. Yes, we now all have net price calculators, but how effective are they when every one I’ve tried at different institutions (and I’ve tried dozens) often throw in a big loan at the end to make my net cost $0.00. That’s not helpful. Not a day goes by that there isn’t an article about the cost of college and student loan debt and so on. I know – not only do I work in higher ed, I’m still paying student loans from my undergraduate degree. Personally, I’d love to get a Master’s degree, but frankly can’t afford it. There are plenty of offerings online, from Masters in Criminology to Business, but most is still priced out of reach. Stanford is currently running classes online, for free, such as an introduction to databases and a course on AI. That’s really neat. While it’s not feasible for every college to offer free programs, there’s opportunity to rethink our offerings and their various price points. For example, I’d gladly pay $2,500 for a structured, certificate program from a place like Stanford. It’s not a full Master’s, but it’s the right price point that makes it easier to justify and pay for compared to a full Master’s program, that may cost upwards of $30,000. Sidebar: if anyone wants to give me a full-ride Masters in IT, IT Leadership or the like, let me know. I’d get a Master’s at my current university, which is a very good one, but they don’t currently have a program for what I want to do, career-wise. In Louis’s case, $5 was the magical price point. It’s enough to make him money and cover his costs, yet priced right for consumers who were able to bypass the middle man, in this case, the large media corporations. We live in a much smaller world today compared to years past. I listen to cloud music and live edit a document with a colleague in the UK, at the same time. Yet, we are forced to live under archaic rules about where and who can consume digital content. I’ll leave you with one final quote. Also, I paid my $5. I learned that money can be a lot of things. It can be something that is hoarded, fought over, protected, stolen and withheld. Or it can be like an energy, fueled by the desire, will, creative interest, need to laugh, of large groups of people. And it can be shuffled and pushed around and pooled together to fuel a common interest. Next Next post: Should our .Edu Sites Be Using SSL by Default?